Contact Numbers of DC (Deputy Commissioner), DDC (Deputy Development Commissioner), Additional Collector, MD DRDA, SDO (Sub Divisional Officer), District Public Relation Officer, PA to DC (Dy Collector), DC (Confidential Section), Nazarat Dy Collector, Dy Election Officer. 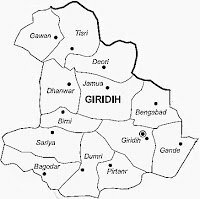 About: – Giridih may be divided into two parts first one is lower plateau and second one is central plateau. Central Plateau the western, part of the district, near by the Bagodar. Vast forest is the identification of Giridih district. In forest Sal tree is fame and bamboo, Mahua, semel, palash etc trees are commonly found. This district is rich in minerals and it has vast coal field with good quality of coal. 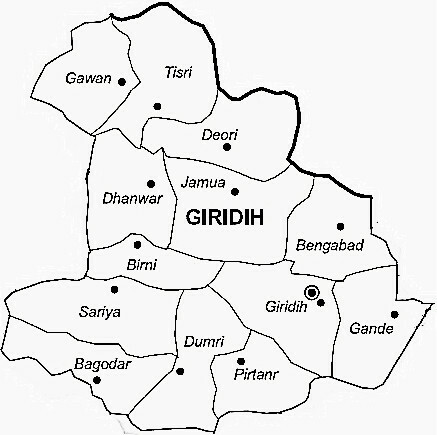 Giridih is famous for mica production and it has get importance not only in India but also in other country.